Former Marlins star pitcher Dontrelle Willis tweeted that Miami's beleaguered rotation "needs a bulldog" and that "someone needs to step and say enough is enough." Pitcher Dontrelle Willis, who hasn't appeared in a major league game since 2011, has reached agreement on a minor league contract with the Milwaukee Brewers, agent Matt Sosnick told ESPN.com. Most experts believe that the New York Yankees will be very aggresive in their pursuit of Masahiro Tanaka, who met with the Chicago White Sox on Thursday, as his tour of teams interested in his services began in earnest. 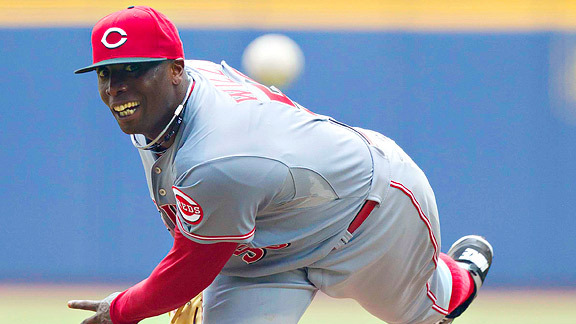 The Los Angeles Angels have signed veteran left-hander Dontrelle Willis out of the independent Atlantic League. 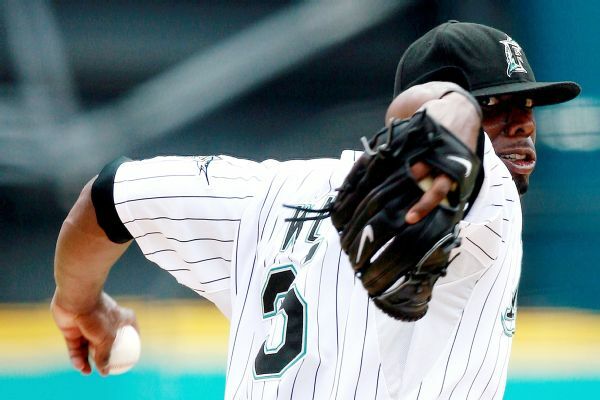 A person familiar with the situation says the Chicago Cubs are closing in on a minor league deal with left-hander Dontrelle Willis. Source: Cubs closing in on minor league deal with Dontrelle Willis.